The onslaught of hurricanes, tornadoes, floods, mudslides, wildfires, and earthquakes that has plagued the U.S. in the last several years has given rise to a new concept: resilient design. More than just a buzzword, resilient design is about protecting inhabitants, ensuring that key systems will continue to operate during and after a disaster, and on a macro level, creating a home that lasts 100 years or more. 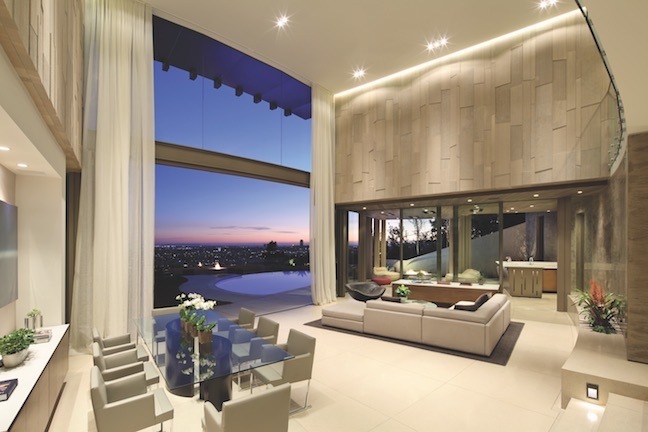 New technologies, such as battery backup systems, are impressive and easy ideas for customers to latch onto, but builders that practice sustainable design and construction are already armed with the necessary tools to create resilient homes. And while clients may not be familiar with the term “resilient,” they understand what it means to have a house that will remain standing, despite almost anything nature throws at it. Nathan Kipnis, founder and principal of Kipnis Architecture + Planning, in Evanston, Ill., recently started a division called NextHaus Alliance that will design nothing but ultra-high-end resilient homes. NextHaus is a team of professionals with expertise in architecture, construction, interior design, landscaping, and technology that works with clients to minimize complexity and maximize budgets. “Resilient design is focused on changing weather patterns, so the response in each geographic region will be different,” Kipnis says. 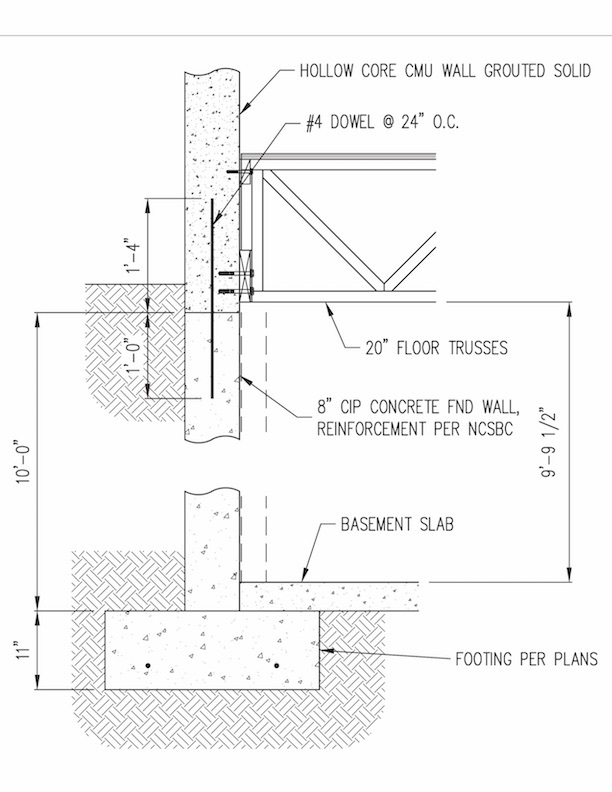 “For example, here in the Midwest we’re seeing rains that are increasing in frequency and intensity, with associated higher winds.” To address these issues, Kipnis installs a continuous ice and water shield under the entire roof, not just at the bottom 2 feet of the perimeter, to keep it watertight, especially if the roofing is blown off. He’s also working on whole-house battery backup systems that are connected to solar panels and set up in a separate subpanel that controls key systems that need backing up during power outages. “These typically include refrigerators, sump pumps, garage doors, ceiling fans, and a few power outlets,” Kipnis says. Clients will likely begin prioritizing, he says. Instead of a home theater or upgraded kitchen cabinets, for example, they’ll put in rooftop solar, which is becoming less expensive. Some of the push toward resilience is due to recent catastrophic events. After Superstorm Sandy ravaged the East Coast in 2012, FEMA revised its flood-zone maps; new homes must now be at least 8 feet above flood elevation. “But many towns are asking for 10, 11, 12, and 13 feet,” says Richard Bubnowski, owner of Richard Bubnowski Design, in Point Pleasant, N.J. “They don’t want ductwork or any part of the structure dipping down into that base flood elevation. So an awful lot of what we do is based on building codes, whether they’re state, local, or FEMA, but it’s always better to exceed code.” Above code or not, there’s sufficient demand from clients—especially those who have lived through a natural disaster—to justify kicking things up a notch. 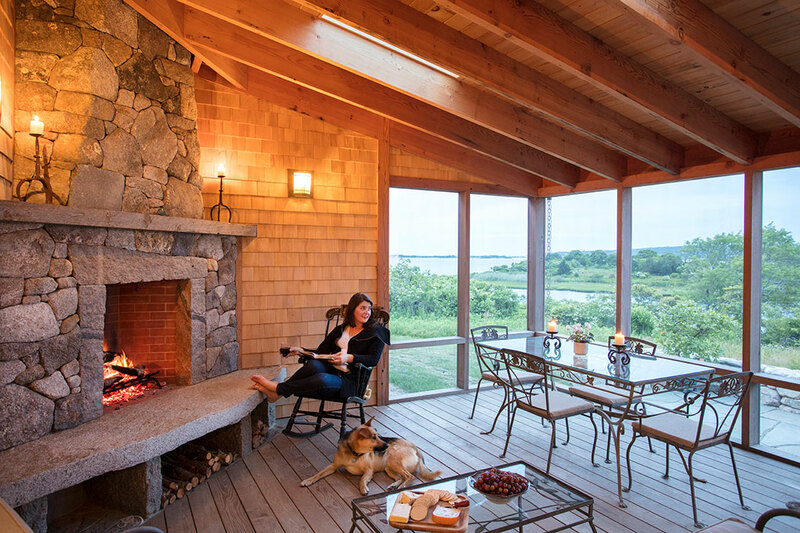 South Mountain Co., a design/build firm in West Tisbury, Mass., uses site-built wood moment frames to keep houses from racking in the high winds that can buffet Martha’s Vineyard. A custom-built steel moment frame isn’t always necessary, notes South Mountain’s Matt Coffey, project architect and owner. Coffey says there are some clever ways to tie the moment frame back to the foundation and still . Clients who want their homes to be fully habitable and operational during a power outage have a range of options, Coffey says. “We use only electrically driven systems and equipment that can be paired with solar photovoltaics and a battery system, or a small backup fossil-fuel generator,” he says. The home in Tampa, Fla., was completed in summer 2017, just before Hurricane Irma made landfall. 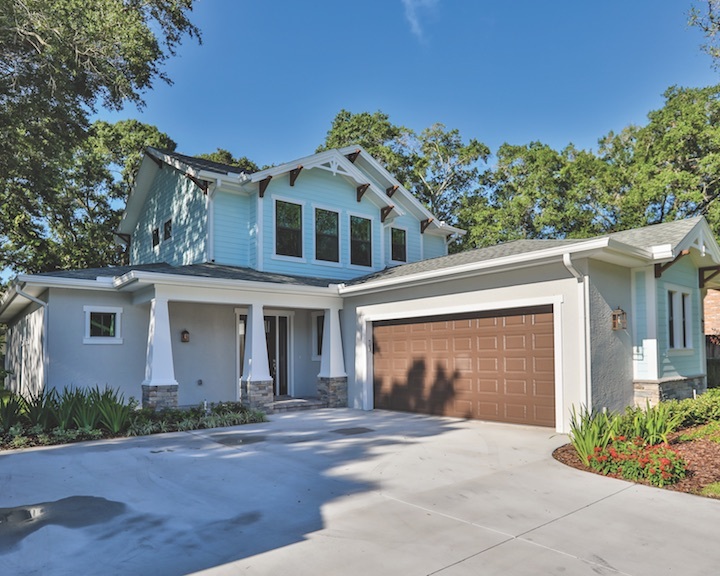 When it was time to evacuate in anticipation of a storm surge from Tampa Bay, the clients elected to ride it out inside their new home, built to withstand 130 mph winds. Resilient construction in the Tampa area has more to do with the shell of the home and design of the exterior fenestration, Brown says. Houses are raised to minimum FEMA flood elevations, with flood vents in garages and garage doors, and breakaway ground-floor walls in hurricane zones. Added costs are to be expected. Raising homes up from a FEMA floodplain can double or triple foundation costs. Walls made of concrete block and concrete always perform better than wood when it comes to water intrusion, but they can add 20 to 30 percent to the cost of the building shell, he notes. Gas-powered home generators have become the norm in the Tampa area, which Brown calls the lightning capital of the U.S. “Lightning-strike power surges are more of a problem than the occasional 10-to-15-year hurricane that might knock the power out for a day or more,” he says. Homes perched on the hillsides of Los Angeles are susceptible to a variety of natural disasters, particularly earthquakes and mudslides. “We design first of all for earthquakes,” says William Mungall, an associate with Landry Design Group, in Los Angeles. “We work with structural and civil engineers on the side walls and foundations, discussing the options and how they can be built above code.” On a site resting mostly on bedrock, caissons are buried down to the bedrock. “It’s about as stable as you can get,” Mungall says. Lately Houston has received more than its fair share of hurricanes, wind, and rain, but the “flavor of the day,” according to local builder Kevin Frankel, is flooding. Homes built with Frankel’s pier-and-beam foundation system escaped major damage during the floods on tax day and Memorial Day 2017, as well as the impact of Hurricane Harvey. Once green and sustainable measures are implemented and codes met, builders and architects can go further with renewable energy systems—typically solar panels and battery storage systems. 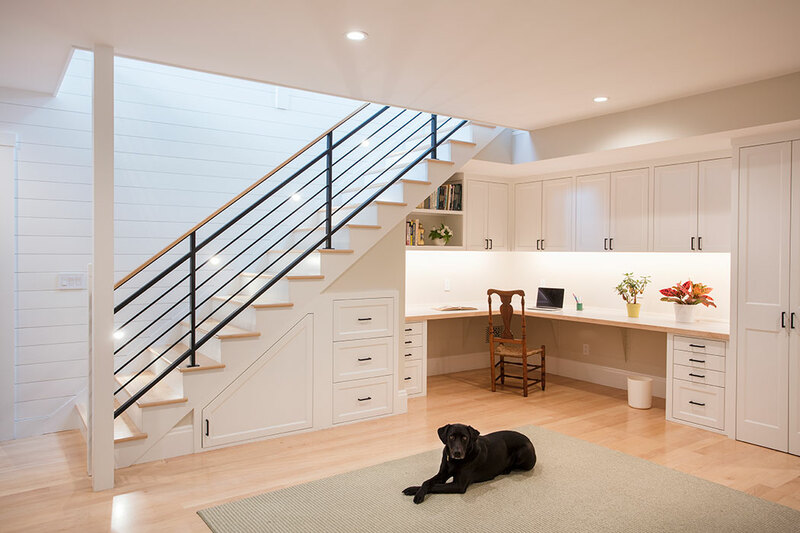 Wilson, of the Resilient Design Institute, lives in a net zero energy home with a solar system that feeds power to and draws power from the grid. In the event of a power outage, a new type of inverter executes a hard disconnect from the grid, allowing the home to continue drawing power from rooftop solar. 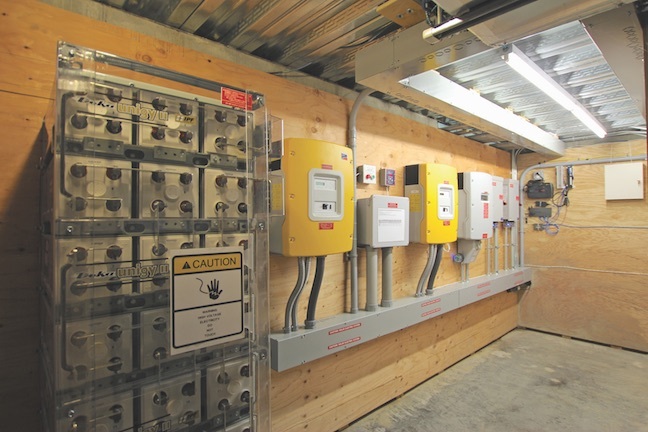 “It’s a pretty simple, affordable way to maintain access to electricity during an extended outage,” he says, as opposed to more comprehensive (but more expensive) electrical storage through a battery system. 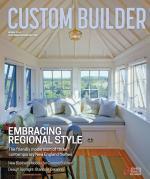 In 1999, Bost Custom Homes was the first builder in the Cary, N.C., market to start offering masonry framing as an option. Masonry framing is an upgrade from traditional stick framing that isn’t susceptible to fire or water damage, says Evan Bost, director of marketing and building performance. Masonry block is built up around a bare-bones wood frame. The concrete walls are hollow concrete block filled with rebar, concrete, and foam. (See illustration, above.) Masonry framing costs approximately 3 to 5 percent more than stick framing, but offers multiple benefits including energy efficiency, fire resistance, pest resistance, and sound dampening, Bost says. “Obviously, the internal parts are flammable, but in a masonry-framed home, the structure itself isn’t going to collapse in a fire,” he says. Comments on: "Resilient Design: Ready for Anything"